Expedition India teams will have a feast of diversity visiting the year-round magnet town of Manali, via the Kullu Valley known as the Dev Bhumi (Valley of Gods) all the way to the fabulous hill station of India, well-known for its unique beauty and serenity Shimla! First Adventure Racing World Series (ARWS) event in India and first event for 2019. The organiser strives to give teams an unforgettable “complete” experience of a lifetime! This will be a once off experience not to be missed. Incredible India - memories of a life-time! Disciplines include: mountain biking, trekking, kayaking, rope work and orienteering. Teams are expected to navigate using a map and landmarks. Teams must be able to operate in harsh remote environments in all weather conditions. Teams travel throughout the night. They can decide if, when and where to rest. The first team to complete the whole course, with all the control points visited will be declared the winner. Teams are required to complete the entire distance together (always within hearing and visual distance of each other), helping and assisting each other. Teamwork and team dynamics are essential. A detailed understanding of your teammates and of your own capabilities is essential. The first Expedition India was held in September 2017 in the northern Indian state of Jammu and Kashmir. 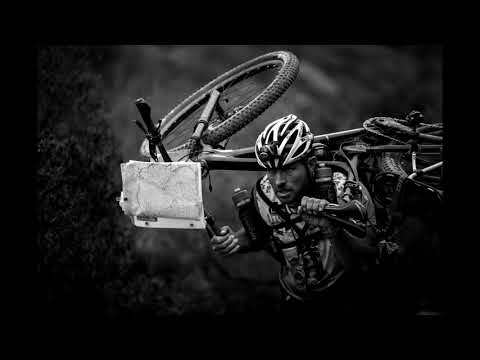 Expedition India is part of the Adventure Racing World Series (ARWS) https://arworldseries.com/ for 2019 and the first event on the 2019 calendar. Himachal is a known paradise for nature lovers. With spectacular snowy peaks and plunging river valleys, beautiful Himachal is India’s outdoor adventure playground. From trekking and climbing to rafting, paragliding and skiing, if it can be done in the mountains, it can be done here. A convoluted topography of interlocking mountain chains also makes Himachal a spectacular place simply to explore, by bus, car, motorbike, jeep or foot. Every pass crossing into a new valley brings you into a different world, with its own culture, deities and even language. Villages perched on staggering slopes enchant with fairy-tale architecture and their people's easygoing warmth. Hill stations appeal with a holiday atmosphere and colonial echoes, while backpacker magnets lure with their blissed-out vibe and mountain beauty. Such is the richness of the Himachali jigsaw that in McLeod Ganj, the Dalai Lama's home-away-from-home, and in Lahaul and Spiti, with their centuries-old Buddhist cultures, you might even think you’ve stumbled into Tibet. In Hinduism, Manu was said to have survived a great flood that destroyed the rest of the world. He then recreated mankind in this Kullu Valley town. What a rush, huh? No wonder the towering peaks and verdant terrain of Manali attracts adventure travellers, with heli-skiing, hiking, mountaineering and river rafting the favored active pursuits. Come down from your endorphin high by breathing deeply at the four-story, wooden Hidimba Devi Temple, which sits in the middle of a nearby deciduous forest, or take a medicinal soak in the hot springs burbling from the ground a 30-minute walk from town. As the monal pheasant chirps magically to the western tragopan that is the disdainful state bird and stands high on the same base the spruce trees remind you that you are in the snow capsule Manali. The loving cold and exciting weather surely would leave you speechless and baffled. Manali is a little heaven one should visit at least once in a lifetime. This is one such destination that offers religious tourism, adventure tourism, wildlife tourism in just one trip and that is what makes it a clear paradise. Snow covered pines and fir trees are the show stoppers while you elevate upwards and drive in to the loveliness of the world. The gorgeous snow leopards and brown bears put up great shows together when you go searching for them. Adventure Sports in Manali: Manali has a mountaineering institute that organizes basic and advance training courses in trekking, mountaineering, skiing and other water sports. It is located three kms from Manali town.Trout and Masheer are found in the Tirthan and Sainj rivers, angling tours are organized there.The Himachal Pradesh Fisheries Department organises an angling tournament in April and September-October. Trekking in Manali: Most of the treks from Manali are one day journeys, the Lamadugh Meadows, Solang Valley and the Koshla-Tree line are the most popular of them all. The best time to trek in Manali is between April and November. With some of the finest stretches of white water, high quality rafts and experienced crew, white water rafting in Manali is a safe sport. The Rohtang Pass and Solang valley offer great opportunities for paragliding. You can also practice rock climbing, rappelling, skiing, ice climbing, snowboarding and ski touring in Manali. SOLANG VALLEY: The solang nullah valley is an angelic spot which very much resembles a beautiful fairy in her dreamland feeling. The winters freeze the valley with children and adults of almost all ages are seen here enjoying the paragliding and skiing adventure sports available here. The kids and people slipping and sliding all over the frozen piece of land is another beauty to admire. ROHTANG PAAS: This surely needs the least introduction as this paas is already a known one to many. The pass is in the pir panjal range at its eastern ends and the glacier piles are a major attraction here as they built up pretty surroundings with flashes of seasonal flowers. GREAT HIMALAYAN NATIONAL PARK: The lovers of nature and ornithologists would surely lose their hearts to this place due to the vast varieties of birds found here and the loving ambience. The birds chirruping here would give you the best music of your life. The mall area and Tibet market here at Manali is home to the beautifully crafted wooden handicrafts and embroidered clothes. The kashmiri shawls and paper silk printed sarees and dresses are the stealer. The artistic instincts and influence of Tibet culture is much evident from the souvenirs and handcrafts found here. The market has the local “malishwalas” who would give you wonderful massage experience that you’ve ever had in any of those posh and international spas and parlours. The markets will have some old antique looking people who sell the purest forms of keshar and shilajit. When it comes to food the local cuisine is a must try. One must hunt for the fresh trout fish dishes available here. The food has good dashes of culture and tradition in them. The cuisine includes good Punjabi and tibetan influences which is tasted through the green apple pickles and lingad pickels (asparagus) as well as the kaadi chawala and masala omelettes available in the local restaurants. Kullu Valley is a broad open valley in Himachal Pradesh, India, formed by the Beas River between Manali and Largi. This valley is famous for its temples, beauty and its majestic hills covered with pine and deodar forest and sprawling apple orchards. The course of the Beas river presents a succession of magnificent, clad with forests of deodar, towering above trees of pine on the lower rocky ridges. Kullu valley is sandwiched between the Pir Panjal, Lower Himalayan and Great Himalayan Ranges. Kullu or Kulu, the capital town of the Kullu district in the Indian state of Himachal Pradesh is located in this valley. Known as the ‘Valley of Gods’, Kullu is a cluster of beautiful valleys in Himachal Pradesh. Located between the majestic Himalayas and river Beas, Kullu is situated at an altitude of 1230 m. Kullu, along with Manali, are favorite hill stations with tourists especially honeymooners. Scenic views and snow-clad mountains, towering Deodar jungles, rivers and apple orchards have attracted several feature filmmakers too. Kullu is a hot-spot for adventure sports. Trekking, river rafting, mountaineering, paragliding and hiking over the Himalayan glaciers are some of the activities that Kullu offers. Angling is another activity enjoyed a lot by locals as well as tourists. Mountaineering beginners can trek around the Beas Kund region, Hanuman Tibba and Deo Tibba. Once the summer capital of British India, it remains the terminus of the narrow-gauge Kalka-Shimla Railway, completed in 1903. It’s also known for the handicraft shops that line The Mall, a pedestrian avenue, as well as the Lakkar Bazaar, a market specializing in wooden toys and crafts. Shimla derives its name from Shyamala Devi, an incarnation of the goddess Kali, whose temple existed in the dense forest covering the Jakhu Hill in the early 19th century. Covering an area of 25 sq km at a height of 7,238 ft, Shimla is surrounded by pine, deodar and oak forests. Its well developed amenities, easy reach and various tourist attractions make it one of India’s most popular hill stations. In Shimla, you can go for a nature walk, go fishing, golfing, ice-skating, trekking, skiing, adventure sports and much more. The major places to visit for trekking and adventure are Fagu, Kufri and Naldhera. Kufri is a ski resort for winter's only. If you are in the mood to take on a game of golf, you can pay a visit to the Nalendra Golf Club which is 22km away from Shimla. One can enjoy the pleasures of roller skating at Lakkar Bazar and open air ice skating at Rivoli bus stand. Unbelievable it might sound, but Shimla has Asia's only natural ice skating rinks. Those who are in love with the view of sunset, The Ridge is a popular place to visit which even provides a panoramic view of the seven hills of Shimla. In order to rekindle spirituality within ,you visit the second oldest Church in the northern India Christ Church and St Michael's Cathedral as well as Dorje Drag Monastery. Tatta Pani, 55 kilometres from the main city, is the name of hot sulphur springs that are believed to have medicinal value is located on the banks of river Satluj. You can even shop till you drop at The Mall and buy jewelry, embroidered shawls and garments and take away souvenirs for your loved ones. The Mall is a reminiscent of the British who have actually designed it as a tranquil hideout so that some escape can be felt from the surrounded sultriness. Consequently,it is an inspiration for locals, foreigners, school children, adults, and especially for the honeymooners and you should definitely carry camera to capture the exclusive moments. Along with the shopping experience , you can even indulge in the eatery joints and the striking pieces of architecture found around the place. Lakkar Bazaar is famous for souvenirs and crafts made of wood. So pack up your bags as Shimla is the your ultimate destination that pampers you, enthralls you, excites you and might even help rejuvenate. If you want to find a team or need a team member please mail us your information to be added here! At least one member details needed for online entry. Bank details will be mailed to you. Do a full payment of entry fee. A full service Expedition Adventure which forms part of the Adventure Racing World Series. Spot Live tracking of teams progress. Teams may cancel their entry at any stage by e-mailing the event organizers. No refunds are applicable at any stage. Teams are not permitted to transfer their fees paid to future editions of Expedition India if they are not able to make this edition of the event. Teams are permitted to transfer or sell their entry to another team if available. This will be a transaction between the teams. Teams must notify Expedition Africa as soon as possible in the case of a team entry being transferred or sold. If two teams do not have sufficient members and decide to join together, this will be strictly considered as one team cancelling their entry. Refund policy will be as stated above, no exceptions. If the race is cancelled due to acts of god, natural disasters, terrorism or other reasons etc., the organizers will make every effort to refund as much of the entry fee as possible to all teams. However, all teams should be aware that any refunds will be made after event costs have been taken into consideration. Given the high number of fixed costs associated with organizing the race teams should also be aware that any refund is likely to be minimal. The race will not be re-scheduled. Please make sure if you need a visa or not. Most Countries qualify for an E-visa follow the link below. It is recommended that each team bring along their own media person. This is ideal if a team wants to maximize coverage of their progress during this adventure. Team Media needs sufficient credentials and media reach to qualify as Team Media. Contact Heidi for applications: heidi@kinetic-events.co.za. The team media person is required to set up and manage a team Facebook page as well as individual Facebook pages and all other social media platforms. A post event report on social media reach will be required. Our course design takes into account route accessibility to the media to ensure you can capture and share the most captivating images and stories to the world. Bus Transfers, accommodation and group transport during event will be organised for the team media. We will look after them. Internet connectivity can be achieved by buying an internet data card. A standard waiver need to be signed at media briefing by all media persons to ensure no information is shared to the teams. Set of maps and attendance to media briefing. The best way to be part of the race if you cannot participate yourself is to become a volunteer. Volunteers just need to reach Delhi airport on their own cost. Volunteers will receive a race garment. Accommodation and transport will be provided. Specific details to be provided on request. Come and be part of this adventure. The expedition will cover approximately .... km. Winning team 72 hours (sleep excluded), last team six days. More accurate distances of individual legs will be released soon. Trekking – will involve traveling by foot through rugged and diverse terrain. Rafting - each team will receive a 4 person raft, helmets and single blade paddles will be supplied by organiser. (some sections of rivers will be guided). Maps supplied will be 1:50 000 topographical maps. Waterproofing of maps is essential. Stationary to prepare route on map is needed. Different colour pens, sellotape, scissors etc. Two sets to be placed in both re-supply boxes. Maps will not be replaced if team misplaces maps. Cycles must be packed and transported in cycle boxes. Team members will be given 2 numbered logistical bags each to be used during the event. Team members will use these bag to pack their personal equipment and food in for the event. At least two members of the team must be capable of navigating by compass and map during the day and night. The team must be able to orientate a map, identify grid references on a map, take a bearing between two points on a map, and understand the impact of magnetic declination. The teams must be able to describe what your team will do if it became lost. At least one member of the team must hold a minimum qualification of Level One First Aid. All team members must be suitably competent in all the disciplines included in the event as specified by the race organizer and be able to complete the event without any assistance from any person other than their own team members. Swim 100 m of any stroke. Be able to attach their own harness and descending device to a fixed rope and complete the descent under control and safely. By entering this event, teams acknowledge that they are competent in all skills as stated above to complete such an event. Equipment rules are not enforced to inconvenience competitors. Compulsory equipment required by each team and team member will be inspected. All equipment featured in the required equipment tab must be present at equipment inspection. I understand and acknowledge that participating in this event is a dangerous activity. I am aware and understand the activities I will be involved in. I am aware of the hazards involved and acknowledge that there is always risk of injury (including permanent injury, mental injury, paralysis and death). In my judgment I have sufficient competence, knowledge, common sense, experience, survival skills and equipment to participate in all the event activities in a manner safe to myself and others. If I get to a point in the course that I believe the level of inherent risk is unacceptable for me, and I am not confident in completing it safely, it is my responsibility to take action. I must choose an alternate route, avoid the hazard, or even withdraw from that leg or the race. I accept this self-responsibility. I and my whole team have read this paragraph, understand it and indemnify the event organiser against all claims. All waste is to be carried to the closest transition for disposal. Human waste is to be buried between 20 and 25 cm below the soil surface. Picking of flowers, cutting of walking sticks and/or any damage to the natural vegetation (even though they might appear to be dead) is prohibited. The making of fires, whatever the circumstances and no matter how small, are prohibited along the entire route. No tree, rock etc. may be defaced in any manner. Be polite and courteous to local inhabitants. Pass quietly through settlements, especially at night. The transgression of any of the above will render the entire team liable to disqualification. Sit back and remember the wild adventures of Expedition Africa 2018.